Find out the true secrets of the Endgame in our Avengers 4 trailer breakdown. After months of theories and speculation, the first trailer for Avengers 4 has finally dropped, officially confirming its title and revealing lots of secrets about the movie. This year's Avengers: Infinity War ended on a cliffhanger, with Thanos succeeding in his insane goal of erasing half the life in the universe with a snap of his fingers. The Avengers 4 trailer really focuses on the immediate aftermath of his triumph, with the world reeling as half the human race was killed in an instant. The Avengers initially seem broken and defeated, devastated at the losses they have suffered. Avengers: Endgame is easily the most eagerly-anticipated Marvel trailer there's ever been. There's been an unprecedented degree of secrecy surrounding next year's Avengers blockbuster, and up until now Marvel has even been keeping the film's title under wraps. The trailer gives the first ever footage from the movie, confirming some popular theories, debunking others, while carefully avoiding revealing much of the plot. Details from merchandise leaks have teased that there will be "new threats" in this film, but notice that there's no hint of them in the trailer. However, dig deeper and you'll find a lot of secrets. Here we'll explore the Avengers: Endgame trailer in detail, looking at everything from the fate of Tony Stark to Hawkeye's shocking change in identity. Just what have the repercussions of Avengers: Infinity War been? And how can Earth's surviving heroes put the world to rights? The opening shot of the Avengers: Endgame trailer is a stunning one, showing the badly-damaged Iron Man helmet. Iron Man is very much symbolic of the MCU as a whole; the entire shared universe began with the release of the first Iron Man movie in 2008, and Tony Stark remains the most prominent hero in the Marvel franchise. So kicking off with an image of the ravaged Iron Man helmet is just as much a symbol, reminding viewers that this film picks up with a universe that's been torn apart by Thanos, the Mad Titan. Avengers: Infinity War ended with Tony Stark and Nebula stranded on Titan, the last ones left alive after the Guardians of the Galaxy - and Spider-Man and Doctor Strange - crumbled to dust before their eyes. Titan, of course, was a barren world, and so they naturally had to leave at speed. 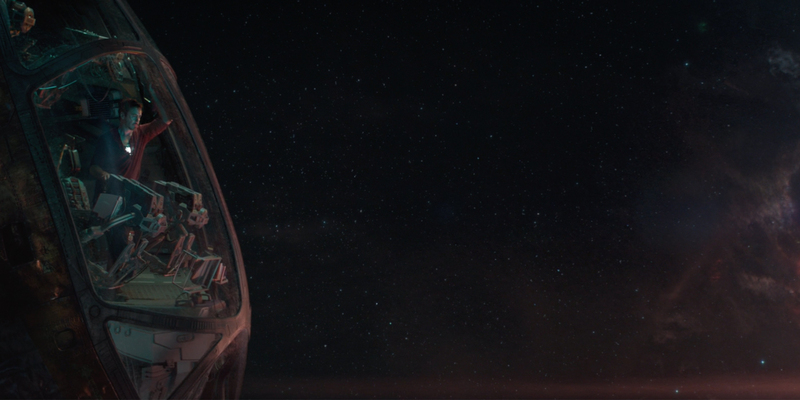 According to the Avengers: Endgame trailer, Stark and Nebula took the Benatar, the Guardians' ship, and presumably attempted to get back to Earth. Naturally, Tony Stark is a tinkerer, so it's hardly a surprise that he's used the time on the Benatar playing with the technology there. He seems to have found a way to charge the Iron Man helmet independently, and has either adapted or installed a new recording system so he can record a message for Pepper Potts. Given the (literally) astronomical distance between Titan and Earth, it seems likely he intends to transmit this message in the hopes it will reach her. That may well mean he's cracked some sort of intergalactic messaging system. Assuming Nebula and Tony Stark were indeed attempting to head to Earth, it really hasn't gone well. The Benatar is drifting through space, unable to move to faster-than-light, and hope of rescue is slim as resources begin running out; Stark and Nebula are already out of food and water, and Tony says he only has a day's worth of oxygen left. He is essentially using this recording system to try to say goodbye to Pepper. The tragedy, of course, is he has no way of knowing whether or not Pepper survived the snap. Ultimately, Tony Stark has become resigned to his fate. He's convinced that there's no way out of this - the chances of rescue are zero, in his view. It's a tragic end for Earth's greatest defender; he knew Thanos was coming all these years, and yet in the end he still failed. Still, Tony wants his last words to Pepper to offer her comfort. "Don't feel bad about this," he tells her. "Part of the journey is the end." That's as much as message to Avengers 4's audience as it is Pepper! At first glance, the Avengers: Endgame trailer's entire opening sequence is dark and foreboding. But even at this stage, there's one very subtle, very deliberate reason for hope. Tony Stark's superhero career began when he was captured by a terrorist group, who attempted to force him into forging weapons on their behalf. Instead, Stark created the first Iron Man armor. 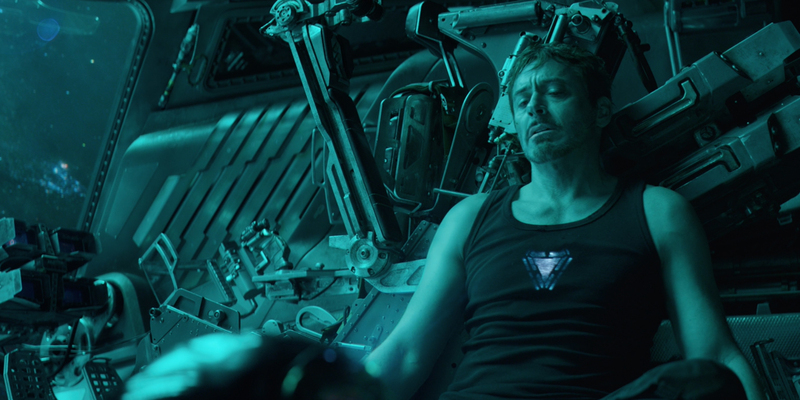 And here's the interesting detail; in this scene, Stark is wearing identical clothes to the ones he wore while forging the Mark I armor in a cave in Afghanistan back in the first Iron Man movie. 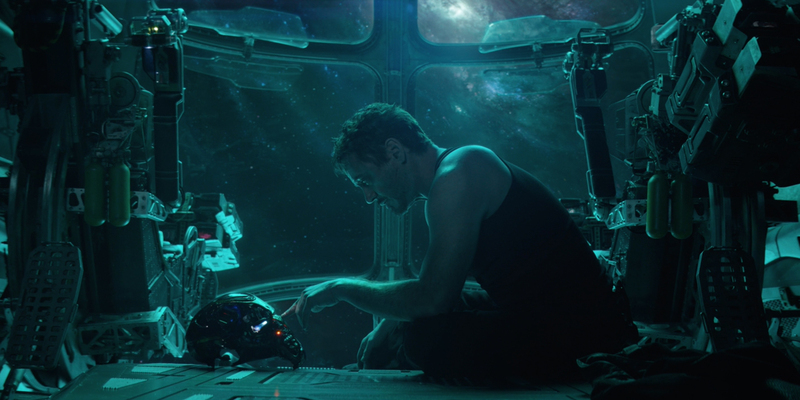 There's absolutely no way this is an accident; it suggests that this experience in space will serve the same kind of function in Tony Stark's personal journey, that he will both survive and use this to reinvent himself once again. The parallels between Iron Man and Avengers: Endgame also highlight the character journey Stark has been on over the last decade. The Tony Stark of Iron Man was an egocentric whose only real focus was upon his own hedonistic pleasure. In contrast, ten years on, Tony Stark's focus is on trying to send a last message to the woman he loves.